Have you ever thought of keeping bees and harvesting your very own delicious honey? We can make that dream come true! 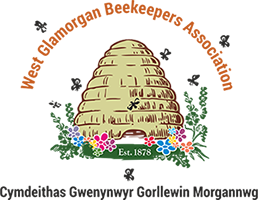 West Glamorgan Beekeepers Association run a very popular and well established beginners course each year. We actively encourage new members to join us and take part in this fascinating hobby. More popular than ever, beekeeping is a fascinating craft that is fun to learn and the perfect antidote to the stress of modern life! Please complete the form to register your interest and someone will respond shortly.